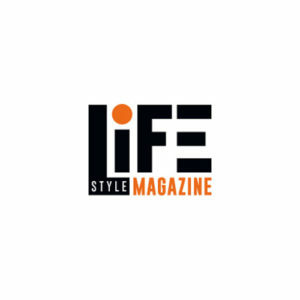 LiFE Mag is an upscale and highly attractive magazine that presents the most sought after addresses in and around Marseille and the Côte d’Azur, in Corsica, Monaco, a selection of the very best ski resorts and also in Miami, Dubai and Saint-Barthélemy meaning it covers areas of high economic potential. Accommodation, Gastronomy, Beauty & Well-Being, Fashion, News etc., readers are sure to find every category they are looking for to discover the very best establishments along with portraits of stars, articles and information on not-to-be-missed events, not forgetting the horoscope and a section devoted to literature from leading experts. The targeted distribution of a magazine enhances the visibility of its advertisers and we set up a strategic network to directly target those readers with a high purchasing power and also extremely wealthy tourists. 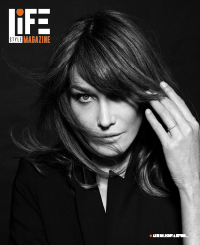 Life Magazine is distributed for free (with certification from the French circulation audit office – OJD) by Adrexo, France’s leading private print distribution company, in the most luxurious establishments of the Provence-Alpes-Côte d’Azur Region (Marseille, Aix-en-Provence, Nice, Cannes, Saint-Tropez), Monaco, Corsica and also internationally. Our objective: Make Life the leading magazine. Luxury shops and stores: fashion, jewellery, concept stores etc. Today, to be online is essential for all business to strengthen interactivity with Internet users. In order to enhance the promotion and visibility of its advertisers, Life is online with a complete set of tools designed to boost visibility: Website, Facebook, Instagram, Pinterest, YouTube etc. Designed by a referencing expert, www.lifemag.fr benefits from enhanced visibility thanks to carefully structured site usability, effective URLs, a network of hypertext links and selected key words. Today, using the Internet means social networking and Life Magazine called upon the services of a community manager to generate buzz for our advertisers. Life is on Facebook, Instagram, Pinterest and YouTube, with regularly published photos, videos, interviews and news feed. Effective networking for even greater and clearly targeted visibility. A professional photo and video service for all establishments. The advertiser is granted the right to use the same supports for his own communication campaigns for the duration of the contact. An article written by a journalist based on an interview with a focus on A theme of the advertiser’s choice. The proof layout and final proofs. A QR Code link to your video presentation. Presence on Life’s website accompanied by photos, text and a link to your video on YouTube. News updates concerning the establishment in our news section. Promotion on Life’s Facebook, Instagram and Pinterest pages.